#SmallTownFun – If you haven’t experienced it, you should, and there is no better place than Wimberley, Texas, to do it. A few years ago, my daughter and I took a summer to “staycation” in Wimberley. We have an Instagram feed and a scrapbook to look back at the fun we had finding new and fun things to do in our small town. We coined it #smalltownfun! There’s really nothing better for a kid than to experience a small town summer – waking up when you want to with no real plans, eating a picnic lunch beside the creek then jumping into the cold water from a tree swing, and chasing fireflies till you are exhausted, then falling asleep to the sound of crickets outside. That’s summer in Wimberley… plus so much more! 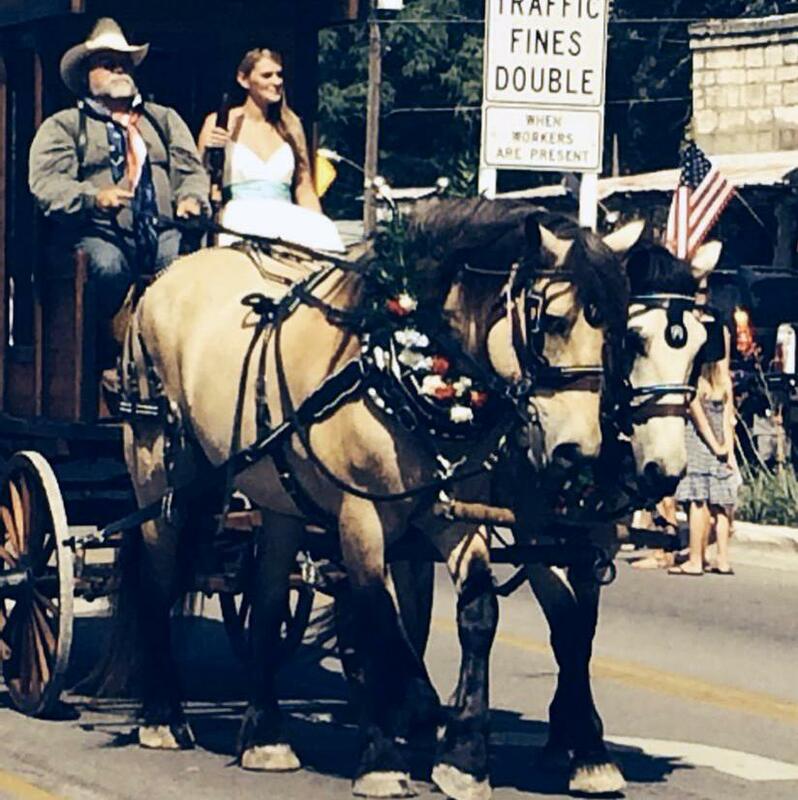 One of the highlights of a Wimberley summer is a good old-fashioned Independence Day Celebration – If you haven’t planned your holiday yet, it’s not too late to plan a trip to Wimberley – for the weekend, the entire week, or even just the day. Billed as the “Best Small Town Rodeo”, I can personally attest to how fun it is – my daughter once went three nights in a row! Mutton bustin’, calf scramble, a performance by the Lone Star Cowgirls Precision Riding Team, one really funny rodeo clown, and all the traditional rodeo fun! Get there early to sign your kiddos up for the mutton’ bustin’ or calf scramble – depending on their age. 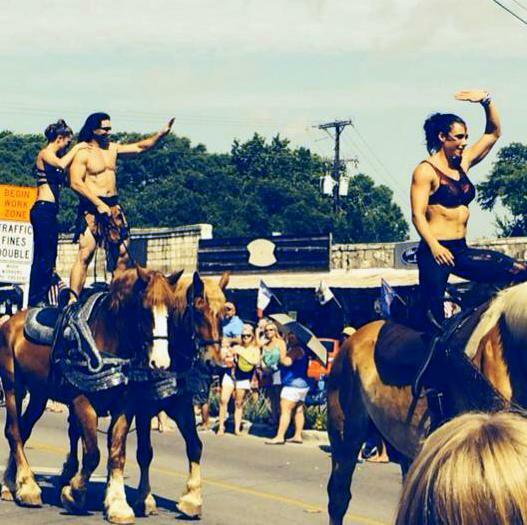 This is a Wimberley tradition that is more fun than any big city rodeo could think about. The finale each night – a fireworks show. Every Texas kid needs to watch a fireworks show from a rodeo arena! I would definitely buy tickets in advance at the Wimberley VFW Rodeo website. The Corral Theater will be playing “Finding Dory” the weekend of the fourth – with shows beginning at dark on Friday, Saturday and Sunday night. The Corral is a summertime landmark in Wimberley and popular with the locals and tourists alike – be sure and get there early to get a great spot and enjoy small town fun. You can also see the fireworks show from the rodeo grounds in the distance from the Corral – so that’s a bonus! The EmilyAnn Theatre’s summer hit is getting rave reviews from locals and the Austin Theater Critics. This musical is fun for all ages. Tickets are $15, students $10. 5 and under are free. Haven’t heard of EmilyAnn Theatre and Gardens? Learn more about this Wimberley must -visit! I scream; you scream; we all scream for ice cream! This event from noon to 7pm will be a crowd pleaser! Ice cream in all flavors donated by the Wimberley H.E.B (vanilla, chocolate, strawberry, birthday cake, and non-dairy vanilla/chocolate), plus sprinkles from The Wooden Spoon Frozen Yogurt Shop! There will be ice cream eating contests for kids of all ages (two divisions) and music, plus other fun games. To be honest, they had me at ice cream! The event will be held at the Wimberley Community Center and supports a local children’s camp. $10 admission. Ages 12 and under are free. Although not a holiday event, this is Market Day Weekend, so take advantage of the opportunity to visit more than 400 booths at the Lyons Field. The Wimberley Fourth of July Parade is a huge hit, with folks lining the streets beginning about 9:00 am for the 10:00 am parade. Bring lawn chairs, a cooler of drinks, umbrellas, and enjoy a morning full of parade floats from local businesses, civic groups, and citizens who just want to get in on the fun. There are horses, motorcycles, old trucks, tractors, and traditional floats that drive around the square – starting at the Brookshire Brothers Parking Lot and going through the downtown area, then out 3237. 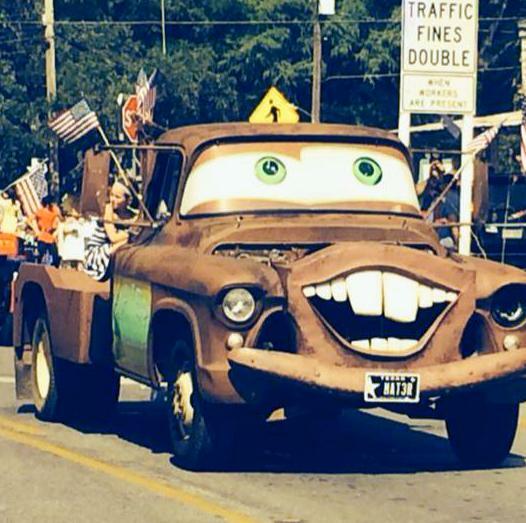 There are multiple spots to enjoy the parade. Listen to the Wimberley Community Chorus as they present the 5th Annual “Patriotic Hometown Concert”. The concerts will be held at The First Baptist Church of Wimberley at 1pm and 4pm. Celebrate our Country’s birth with American classics. Although Wimberley doesn’t have a local fireworks show, our neighbors in Dripping Springs and San Marcos do. The show in Dripping Springs is put on by State Representative Jason Isaac at Dripping Springs Ranch Park – only a 20 minute drive from Wimberley. The professional fireworks display is free and has food trucks, vendors and music. You can also buy tickets for the dinner (Salt Lick BBQ) and dance and VIP Air Conditioned Tent to benefit the Hays County Volunteer Fire Department and EMS. You can also check out the fireworks show and summer festival in San Marcos. Finding a place to stay for the Fourth of July or any weekend or holiday in Wimberley may be pretty difficult, so I suggest to book your spot as early as possible. Luckily, one of my favorite spots in town for a family vacation has a couple of openings for the entire weekend and several more for the 3rd – 8th (including their cute little Bungalow Cabin that sleeps 4). The Lodge at Cypress Falls is one of Wimberley’s first destination resorts – right on the banks of Cypress Creek. The lodge is an old-fashioned hotel with 22 rooms with king, queen or 2 double beds. Your stay includes continental breakfast, a pool, tennis courts and access to the creek for tubing, swimming or kayaking (they have kayaks for rent). The Lodge is within walking distance to Mt. Baldy, less than a mile away from the public golf course, and close to Jacob’s Well and downtown Wimberley. There is also a restaurant nearby that is opening in late June from one of Wimberley’s amazing local chef’s – Jay Bachman. decide to stay the week. There’s plenty of things to do in Wimberley, Tx, and weekdays are the perfect time to enjoy some of the fun when it isn’t quite as busy in town and at the local swimming holes. Why we love The Lodge – the family that owns and runs the lodge is customer service focused and is bringing back the traditional feel of the original resort. Families have come here for decades, and they love making Wimberley a family tradition for even more visitors. They are an inexpensive choice for a family vacation with room rates starting at only $99 a night. And unlike most of the vacation rentals they don’t have cleaning fees, local taxes or booking fees added on to the price. Check availability, book online or call them at 512-722-3131. Heart of Texas Getaways has an opening beginning on the 3rd of July – this cabin sleeps up to 5 with a cool loft upstairs – and sits right beside a creek. Learn More About Hat Creek Cabin. If you need another recommendation on where to stay on your trip to Wimberley, send us a message with number of guests and other preferences (pet friendly, location, etc.) and we will send you some referrals.